Join us for our 2019 Dinner Discussions. Event is free with dinner provided. Save the Date for the last Summer discussion: Thursday, August 22 Space is limited! Please RSVP Today! Because of the success of the previous dinner topics, we will continue bringing important topics every other month, to medical professionals and lay community in Tri-Cities. Join our email list for future discussions. Join us for our 2019 Dinner Discussions. Event is free with dinner provided. Space is limited! Please RSVP Today! 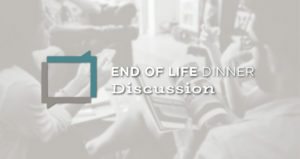 Because of the success of the previous dinner topics, we will continue bringing important topics every other month, to medical professionals and lay community in Tri-Cities. Join our email list for future discussions.